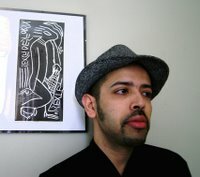 I’d been wanting to speak with Rajorshi Chakraborti ever since I finished his novel Or the Day Seizes You (which I wrote about here). But since he's in the UK currently and a plan to visit Delhi fell through, the discussion had to be done via email. Normally I prefer face-to-face interviews (even though it means more work for me, in terms of writing out the profile etc) – it gives you an immediate sense of the person you're talking to, allows for free-flowing questions that follow the natural course of the discussion, rather than a pre-formatted template. But in this case Raj's responses to the sketchy questionnaire I sent him were so detailed that it almost didn't matter. Here's more or less the full transcript of the conversation (though I hesitate to use that word since my own contribution to it was so frugal). Rajorshi Chakraborti was born in Calcutta, but spent some of his childhood in Bombay. In 1994, when he was 16, he moved to Victoria, Canada on a scholarship. He moved to England in 1996 and completed his BA in English Lit. from the University of Hull. Since 1999 he's been moving between Calcutta, London and Edinburgh, juggling various jobs alongside his writing. I believe you won the Philip Larkin prize after graduating from Hull University. When did you start writing poetry? Have any of your poems been published? Misleading as it is, the Philip Larkin Prize was actually for 'best final year essay by an undergraduate', so that didn't have anything to do with poetry per se. I did write poems as an adolescent which were (regrettably) published quite frequently in the teen/youth pages of newspapers in Bombay and Cal. One of them even won a Times of India-sponsored national poetry competition in '93, but they were all juvenile pieces whose only lasting value is that I'll never write like that again. But seriously, I have no talent for poetry even though there are a few poets I enjoy enormously, and return to over and over. So it's safe to say you're more comfortable with prose now. I decided at about 18 that prose is where my real interests, as well whatever little ability I might have, lie. Since then, I haven't written another poem, nor have any occurred to me. This was also the time when I fell in love with the novel form. I wrote two dreadful novels rapidly that year one after another, utterly imitative of everyone I admired at the time -- the usual suspects for an impressionable late adolescent, Garcia Marquez, Camus, Kundera -- and a whole bunch of stories. Again, their only value is that I got those particular mistakes out of my system forever. For the next six years, however, I didn't write a word of fiction, even though the longing to write burned as steadily as before. I just had no stories compelling enough to tell. Instead, and the Ph.d was a very useful alibi for this, I read voraciously, like a starving autodidact, everything from Cervantes through Balzac and Flaubert, Musil and Mann all the way to the most recent African and American stuff. Whatever interesting writers I could find from each region, Central Europe, Latin America, Australia, and of course India. Somewhere during those years, I also began a similarly prolonged love affair with selected genres and phases of the history of cinema. I was very lucky to be in Edinburgh for most of this time, where both the facilities and the company to share some of these discoveries are most congenial. Recently, I briefly returned to attempting short stories but none of my efforts satisfied me. Perhaps I'm coming up against another of my limitations, but for now I realise that though my novels are quite episodic, I do enjoy composing larger works, in which each of the sections sets off multiple resonances with others, and I can include a lot more overall. Of course, this might well be a question of not possessing sufficient skill at compressing my themes. The surrealistic narrative of your book is fascinating, and not the sort of thing one is accustomed to seeing in Indian writing in English. It's much more subtle than, say, magic realism, which often lends itself to excess and can go badly wrong in the hands of over-indulgent authors. In contrast, your book requires a careful reading to realise that all is not as it seems – that this isn't a strictly logical narrative. Did you intend it to be that way in the beginning? Or did you start off constructing a straightforward story about this character, Niladri, and then find that the story lent itself to a fragmented, unchronological narrative? No, I only ever thought of him in that 'fragmented, unchronological' way. In fact, I carried a few episodes and images in my head for a long time before I saw they could form part of the same novel, because they were about a similar sort of character. And then each chapter, in the unfolding of its reactions and details, surprised me as it occurred to me, because I had no pre-formed template for the characters at all. I suppose the only vague pointer I had about Niladri was that he is a man whose first instinct is to run in the face of anything unpredictable and challenging. 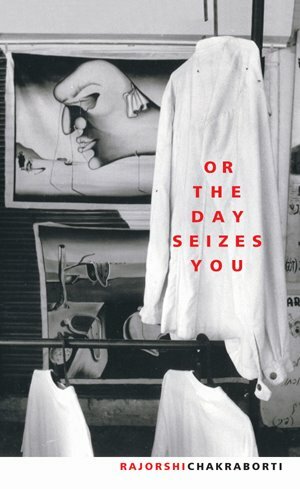 At some point the title showed up to help me along, though Saul Bellow's own masterly novella, Seize the Day, has always seemed to me to ironically hint at the opposite, that whatever you (fail to) do, ultimately it's the power of happenings and of being itself that will seize you. But apart from being cowardly, I also found other incidents occurring to me where he is brutal, such as towards his neighbour, or single-mindedly unscrupulous, as he is in his job. Yet, at other junctures, all he wants to do is abdicate, opt out from all responsibilities, as father, son, even as a human being and a citizen using his heart and his interpretive powers to empathise, understand and then enter in some way everything that is happening around him. Yet, despite these failings, I never thought of him as hopeless, or utterly rotten. So, fragmented, multiple, contradictory, yes, that's how I saw him from the beginning. I was, and wanted to be, constantly surprised, as much as the next reader would be. As for the surrealism, I was glad you emphasised this aspect. First of all, I simply love the world of dreams, their density of unexpected surprises, the momentum of events and transformations, and finally their whole atmosphere where all limits are stretched and angles askew. Perhaps additionally my style emerges out of my love of cinema, as well as from an addiction to implausible anecdotes. But I love telling stories through situations and images, especially those that seem powerful and evocative enough to suggest many possible readings. Apart from being hauntingly beautiful and compellingly readable in their own right, I love those images and situations in the works of other writers that I think of as 'radioactive', i.e. endlessly generative of new readings. impossible to nail down to a single interpretation. What ideology of insect is Gregor Samsa? What is Joseph K being tried for? How do we understand the accumulation of events in The Music of Chance or The Unconsoled? And yet, despite the mystery, page after page flashes past as we read, gliding forward upon what Kundera wonderfully describes in Kafka as the "beauty of perpetual astonishment", and "the poetics of surprise". In my own small way, these things are what I strive for in my work as well. Who have your influences been – in literature and film (if any), or in other art forms? Well, from what I've described above, some idols would be fairly obvious to guess, without attempting for a moment to compare myself with any of these names. Kafka, Paul Auster, the surrealist in Ishiguro, Orson Welles, Hitchcock, Buster Keaton, the settings and rhythms of film noir, the angles, lighting and mood of expressionist silent cinema. But there are so many other artists I admire for different things, some of which I would love to incorporate into my work, other aspects that I can admire as an observer while knowing my talents could never stretch to covering them. Joyce, Saul Bellow, Philip Roth, some of Rushdie's novels, Borges, Fellini, Satyajit Ray, Werner Herzog, Jean Vigo, Aleksandr Rodchenko, Truffaut, the music of Erik Satie. There's also this great tradition of rambling, anecdotal, vividly drawn comedy that I'm very fond of, that includes R K Narayan and Anita Desai from India, Cervantes, Chekhov, and Laurence Sterne, but is particularly rich for some reason in Czech literature and film, ranging from Kafka's Amerika to Jaroslav Hasek and Bohumil Hrabal, and the films of someone like Jiri Menzel. The book's cover, with its use of Dali paintings that deal with the world of dreams, is very apt – how did that come about? Were you involved in the design process at all? My editor asked for my ideas about the cover, and I emailed them about a dozen different visual possibilities that seemed to me to express something of the atmosphere of the novel. Based on these suggestions, I suppose their design dept. went to work. They got back to me a while later with three ideas, and I picked this one immediately. Its juxtapositions seemed to me wonderfully evocative of the mood of the book, and yet the image is opaque and mysterious, almost begging a story unto itself. So yes, there was a level of collaboration. But the design was someone else's original idea, and I'm delighted with it. Slightly tedious question. You've been away from India a long time. Themes of dislocation/being adrift often figure in the work of non-resident Indian writers, and it's visible (albeit in a significantly different form) in Niladri's story as well: his constant running away from things, not seeming to belong anywhere. Does any of this draw from your own experiences? About the autobiographical aspect, I can honestly say that almost all the actual details of the story are fictional, but a lot of the feelings fuelling or arising from those moments are derived from personal experience. And even with those feelings - grief, loneliness, being haunted by your losses - you often take them in a different direction in the story from how you would or may have reacted personally. A fairly obvious point, but one I suppose may be restated. Your characters become experimental selves, as it were, choosing numerous roads not taken by you. You also spread out different autobiographical details among different characters. As for the abiding sense of dislocation/being adrift, I think it's clear I didn't want to write about those sensations within the context of cultural displacement, which is a well-travelled path in world fiction, and especially in much Indian English writing of the past so many years. I have nothing against such novels, but other writers can depict such situations with much more sensitivity and acuteness than me -- the immigrant torn between individuality and community, tradition and desire, for instance. If I'm permitted to sound pretentious for a little longer, what I did discover in the course of writing the story was that it could be a perspective into exploring the predicaments and limitations of contemporary Indian masculinity, within rapidly changing circumstances. And since middle-class urban life is the only world I know somewhat from the inside in India, I should further qualify that as middle-class, contemporary, urban Indian masculinity. As the definition of individuality is thrown open here, because of various new social conditions, straining against the boundaries of family, tradition, and gender, and old certainties about fixed roles which were getting pretty threadbare and hypocritical for many of us anyway, begin to seem absolutely inadequate, how will the hitherto enthroned Indian male respond to the new imperatives of interpretation and self-reorientation? When his wife refuses to remain in a marriage where she has absolutely nothing in common with him, for example, and begins a relationship with someone else? The frequency of such newer forms of self-exploration by women, among others, is only going to increase. More and more young Indians, of both genders, will spend years abroad, as students as well as professionally. How do they cope with the challenges of isolation, unfamiliarity, the excitement but also the anxiety of discovering and renegotiating themselves? I try to introduce these questions somewhat, but never from a position of superiority or judgement. I'm part of the same journey, the same questions. Alongside this, of course, there is the much-discussed opening up of our economy and its multiple implications and possibilities. How will we as citizens respond creatively to those new interpretive challenges, as well as acknowledge our new responsibilities? At a time when present-day corporate capitalism is a beast regarded with great suspicion by many globally for its inability to address issues of widening inequality and ecological devastation, we as a middle class, weary of shoddy goods and the permit Raj, are bringing three hundred million enthusiastic new capitalists to the waning party. What does Nilu's professional unscrupulousness mean in this regard, and what about his obdurate refusal to empathise with the victims of the impending riots, or even to interpret such events beyond the narrowest and most self-centred of horizons? The book's structure is so unconventional – jumping from one unconnected incident to another, ending abruptly; did you face any resistance from your editor/publisher? Was there much reworking from your original draft? My editor, V K Karthika, was actually very appreciative of both the form of the book and the texture of its incidents. If there was any reworking suggested (and incorporated), it was to do with the overtly political content of certain passages, which she thought clogged and burdened the text unnecessarily. I note from your review that you too had problems digesting some of these, so perhaps that is a challenge for my next book, a more harmonious integration of political preoccupations within the story and the characters. what an intriguing post! I read his review when u had it posted earlier, and have it bookmarked as "books, I'd like to read". I particularly found his perspective into "urban Indian masculinity" in our changing world, fascinating. It was interesting that he seemed to classify Anita Desai as a comic writer. I have only read her "Barthelomeow(? )'s Bombay" which was dark and deathly depressing. I will definitely pick it up when I am india in a few weeks. He sure seems like an interesting person and I can identify the need to articulate and clarify the tinest bits of information that we otherwise would consider flippant. The cover art of his book is excellent. I'm so unsurprised (and satisfied) to find his list of favourites so often coincides with my own. Somehow, it is a confirmation--like teenagers asking each other about the kind of music they listen to--an abstract key that explains something. I haven't as yet read Or The Day, but I know I will some day. Someone whom I have never heard of and what an interesting interview. Thank you for sharing this interview. I thoroughly enjoyed it. I think he's just amasing - first book, and what a star. Someone to watch out for - and his novel says it all. lovely interview, waited till i finished the book to read it. while i was reading the book this morning it struck me, how dissimilar this book is to other indian english writing. not that i am any expert, but it reminded me of two other authors, murakami and auster. murakami was mentioned in your review and RC mentions auster. the almost claustrophibic nature of his principal character is quite similar to that of the other authors, though in a metier of its own.